I have a new article out in Slate Magazine, one of the most shared columns in the last several months. It is reproduced below. Caroline Sparks was 2 years old. Her 5-year-old brother was playing nearby with his birthday present: a .22-caliber Crickett rifle. His mother stepped outside for a moment, certain the gun wasn’t loaded. She was wrong. Caroline was pronounced dead a few hours later at the Cumberland County Hospital in Kentucky. Despite harrowing tragedies like Caroline’s death, the National Rifle Association is committed to expanding firearm ownership among children. The NRA’s recent convention in Indianapolis had a “Youth Day” to promote firearms to children, an event from which the media was banned. For years, gun manufacturers and the NRA have marketed firearms to children ages 5 to 12, insisting that programs such as the Eddie Eagle Safety Program ensure the safety of children. If they truly believe this, they are mistaken. The overwhelming empirical evidence indicates that the presence of a gun makes children less safe, that programs such as Eddie Eagle are insufficient, and that measures the NRA and extreme gun advocates vehemently oppose, such as gun safes and smart guns, could dramatically reduce the death toll. Study after study unequivocally demonstratesthat the prevalence of firearms directly increases the risk of youth homicide, suicide, and unintentional death. This effect is consistent across the United States and throughout the world. As a country, we should be judged by how well we protect our children. By any measure, we are failing horribly. America accounts for nearly 75 percent of all children murdered in the developed world. Children between the ages of 5 and 14 in the United States are 17 times more likely to be murdered by firearms than children in other industrialized nations. Children from states where firearms are prevalent also suffer from significantly higher rates of homicide, even after accounting for poverty, education, and urbanization. A study focusing on youth in North Carolina found that most of these deaths were caused by legally purchased handguns. A recent meta-analysis revealed that easy access to firearms doubled the risk of homicide and tripled the risk for suicide among all household members. Family violence is also much more likely to be lethal in homes where a firearm is present, placing children especially in danger. Murder-suicides are another major risk to children when guns are involved. Crucially, these deaths are not offset by defensive gun use. As one study found, for every time a gun is used legally in self-defense at home, there are “four unintentional shootings, seven criminal assaults or homicides, and 11 attempted or completed suicides.” A study of adolescents in California found that there were 13 times as many threats as self-defense uses of guns. Of the defensive encounters, many arose in confrontations that became hostile because of the presence of a firearm. In overall suicide rate, the United States ranks roughly in the middle of the pack among industrialized nations. However, we are the exceptionwhen it comes to suicides among children between the ages of 5 and 14, with an overall rate twice the average of other developed nations. This stark difference is driven almost exclusively by a firearm-related suicide rate that is 10 times the average of other industrialized nations. In terms of accidental fatalities, American children younger than 15 are nine times more likely to die by a gun accident than those in the rest of the developed world. Children living in states with higher levels of firearm availability also suffer from significantly higher rates of unintentional gun deaths. Studies indicate the vast majority of these shootings involve either family or friends. These statistics indicate that parents’ ownership of a weapon is a significant risk not only to their own children but also to their children’s friends. As a report from the New York Times revealed, accidental killings are significantly underreported in the official data, often being classified as homicides or suicides rather than accidents. In several states there were twice as many accidental gun deaths than the official record indicated. In light of this empirical reality, coupled with the fact that many gun owners are unaware that children have handled their guns, the safest policy is not having a gun in the home. The American Academy of Pediatrics strongly advocates this approach to safety. In contrast, the NRA claims that its safety programs work and are sufficient, despite significant evidence to the contrary. Meanwhile, the NRA ignores the overwhelming evidence that firearms make children less safe and continues to promote bills that forbid pediatricians from talking to parents about guns and safety measures. In homes that do have guns, safely storing a firearm locked and unloaded is critical. Laws holding gun owners responsible for the safe storage of firearms reduced unintentional shooting deaths among children by 23 percent. Further, a disproportionately large share of unintentional firearm deaths happen in states where gun owners were more likely to store firearms loaded, and especially in states where owners more often stored firearms unlocked and loaded. This is true even after controlling for factors like firearm prevalence and poverty. Perhaps the most promising step forward in children’s safety is the advent of smart guns. These firearms can be fired only by the owner, thereby drastically reducing the risk of accidental shootings and teenage suicides. A 2003 study examined unintentional, undetermined intent, and negligent homicide firearm deaths occurring in Milwaukee County and Maryland between 1991 and 1998. 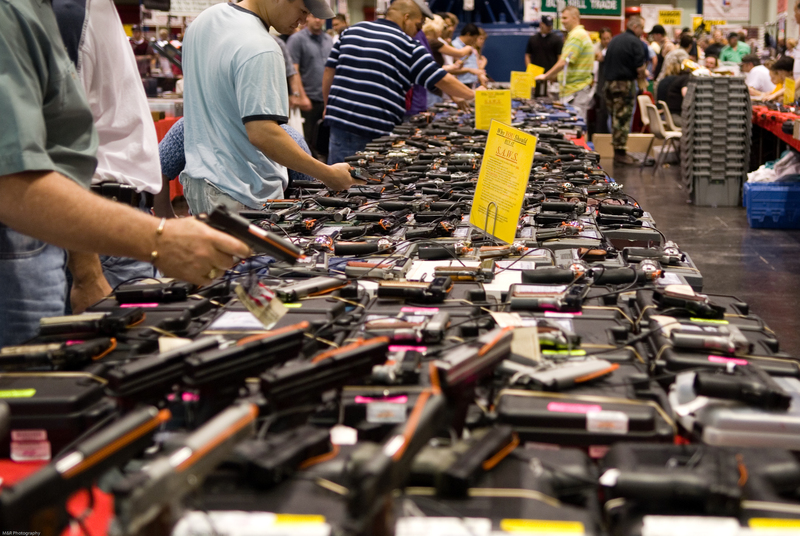 The study determined that 37 percent of the deaths would have been prevented by a smart gun. Efforts to introduce these much safer weapons have stalled in the face of fierce backlash from extreme gun advocates, with one gun store owner even receiving death threats for offering smart guns. The most sophisticated model of smart gun, the German-made Armatix iP1 .22 caliber pistol, can only be fired while the owner is wearing an accompanying wrist watch with a built-in RFID tag. The universal adoption of such a device would drastically reduce suicides, accidents, and gun theft. Unfortunately, extreme gun advocates are committed to a misinformation campaign, claiming that smart guns have high failure rates. Not only is this accusation based on concerns with old fingerprint technology, which the Armatix iP1 doesn’t use, but this gun has passed state reliability tests with a successful firing rate above 99 percent. Teddy bears and toy guns have tomes of regulation dedicated to reducing the risk of fatal accidents, but the single device that is most responsible for accidental child fatalities, firearms, has exactly zero federal safety standards regulating its design. In fact, the U.S. Consumer Product Safety Commission has been forbidden by Congress since 1976 to address gun safety at the urging of the National Rifle Association. Gun manufacturers, under federal law, have since been able to choose gun design without regard for safety or public health. The NRA and extreme gun advocates perpetuate a culture of fear and violence, teaching children that guns are a solution. We are seeing the results of this culture in our schools. Bullied students are bringing thousands of guns to schools. Since the Sandy Hook shooting in December 2012, there have been 74 shootings at schools, events that used to be exceedingly rare. Further, one study found that exposure to firearm violence doubles the risk that an adolescent will then in turn commit violent acts over the next two years. The toll continues to mount. In the developed world, 87 percent of children younger than 14 killed by firearms live in the United States. More American children and teenagers died from gunfire in 2010—a single year—than U.S. soldiers in Afghanistan since 2001. Is this truly the culture we want for our children?